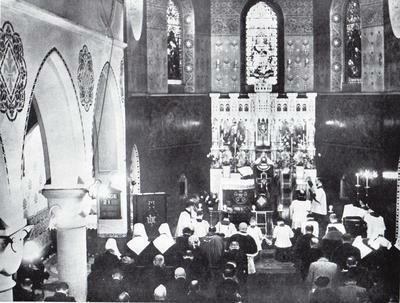 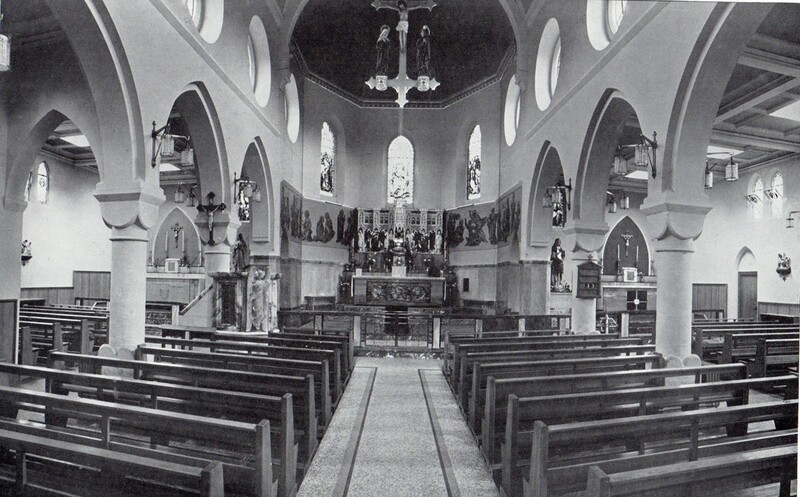 The Inside of the original St Peter's Church on the occasion of the Solemn High Mass (1938) for Alderman Patrick Collins, the first Catholic Mayor of Walsall since the Reformation. 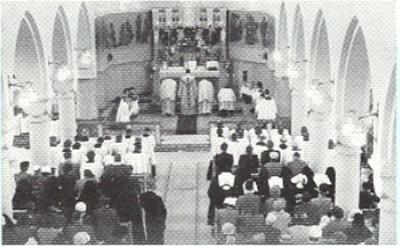 1 - The Composite View of the three Altars in 1954. 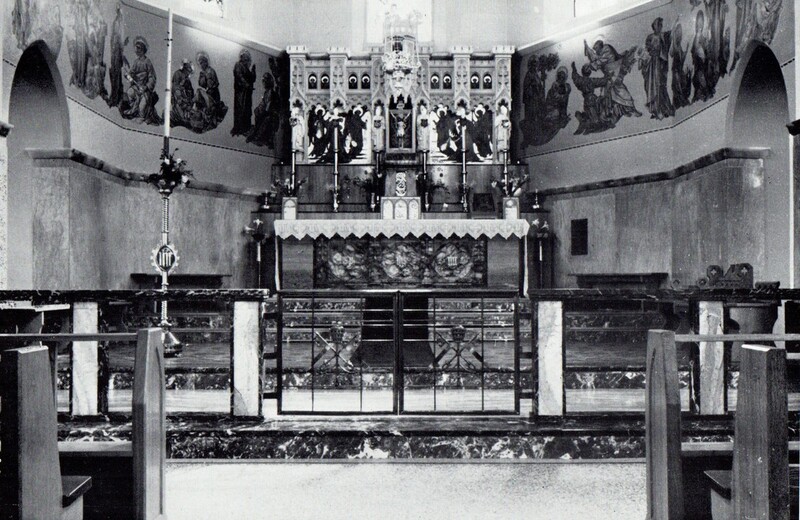 ​3 - The Sanctuary and the High Altar. The marble was donated by the St Peter's Branch of the Union of Catholic Mothers(UCM). 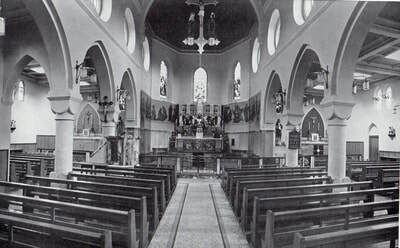 The bronze gates to the Sanctuary, Sacred Heart Chapel and the Lady Chapel were donated by Mr J. Argyle. The Tabernacle and the Crucifix were anonymous gifts. 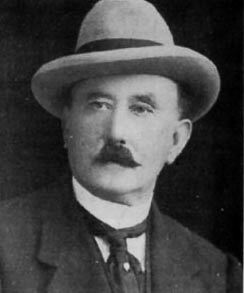 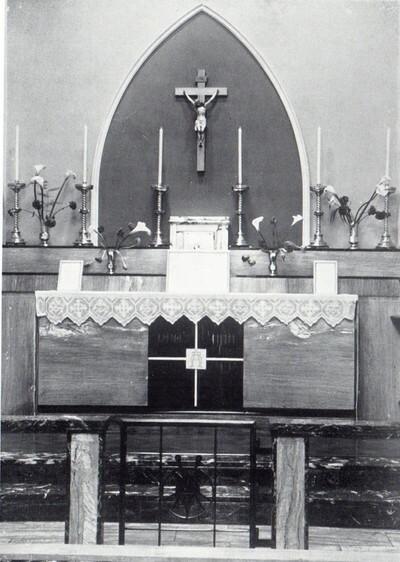 The Crucifix was a gift from Mr P. Baughan. 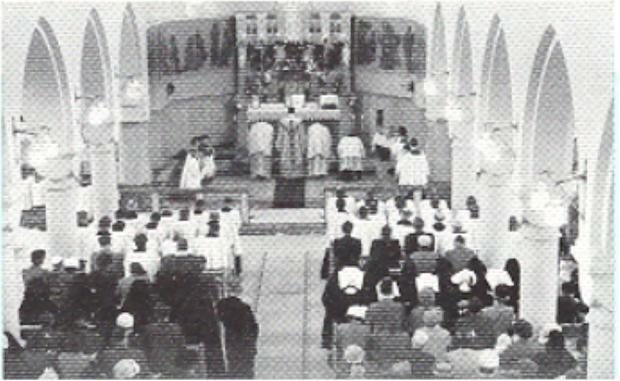 The Pulpit is shown in its original location in 1954. 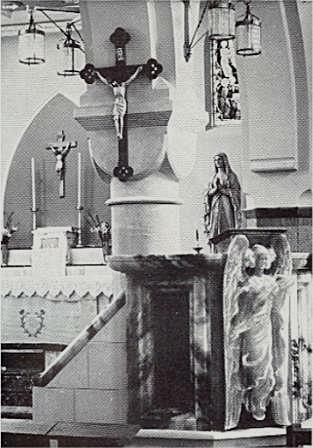 The Font is shown in its original location in 1954. 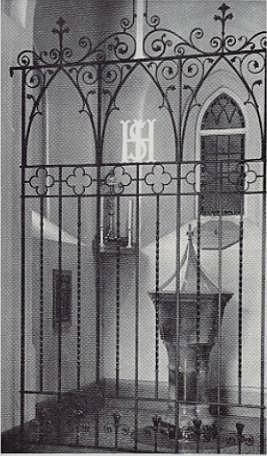 The current location of the Font is adjacent to the double doors on the Sacred Heart Chapel side of the Church. The original location is now used by the Piety Shop. 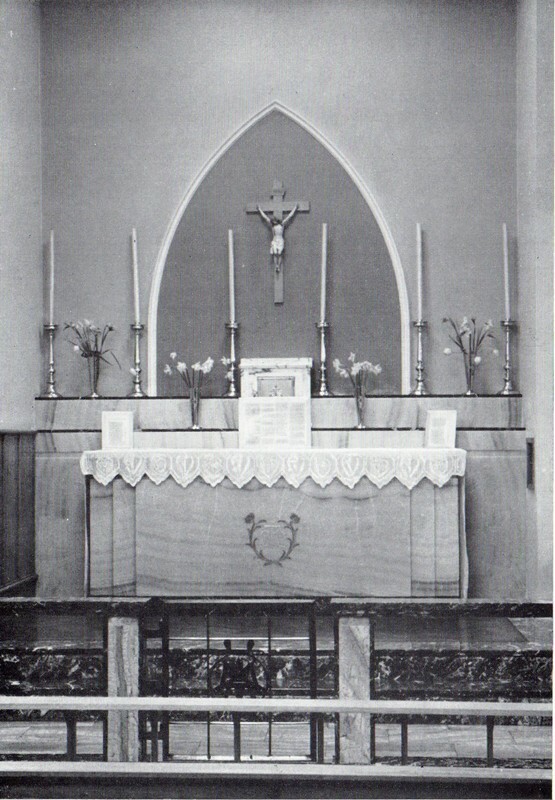 The font was a gift from the Scholars and Staff of St Peter's Catholic School.